The Britannia North Stafford Hotel is a classical, spacious and truly elegant hotel conveniently situated in the heart of the potteries. This Stoke hotel has a warm and welcoming atmosphere that emphasizes friendly and hospitable service. Located just over 15 miles from Alton Towers and close to Stapeley Water Gardens, the world's largest water garden centre. The hotel also has a car park chaged at £3 per day. 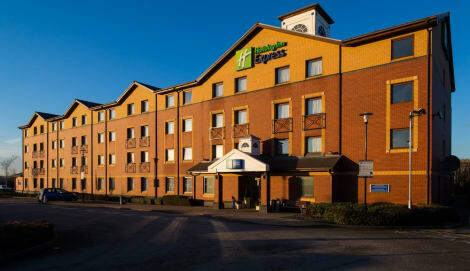 A comfy Stoke-on-Trent hotel next to bet365 Stadium with free parkingHoliday Inn Express® Stoke on Trent hotel is just off the A50 and a quick drive from the M6 motorway.You can drive into the town centre in less than 15 minutes or reach train services at Stoke-on-Trent station. Our hotel makes a great base for family trips to Alton Towers Resort, with its theme park and spa just a 35-minute drive away. Flights at Manchester Airport (MAN) are less than an hour away by car. Don't miss the Gladstone Pottery Museum, which tells the story of Stoke-on-Trent's famous pottery, and the Potteries Museum & Art Gallery with celebrated works from Picasso and Degas, plus the world's finest collection of Staffordshire ceramics. Business guests are well-placed for meetings at Michelin and Ageas, and our naturally lit meeting room has space for 35 delegates.At this hotel you can enjoy:- Free WiFi- Free parking- Express Start™ Breakfast included in the room rateLet our friendly bar staff mix you a drink while you watch sports on the big screen in the lounge. If you're peckish, we have handy snacks available around the clock. After a long day, kick back in a Next Generation guest room, where you can watch shows on Freeview TV. A stay at The George Hotel places you in the heart of Stoke-on-Trent, a 2-minute drive from Vale Park and 7 minutes from Potteries Shopping Centre. 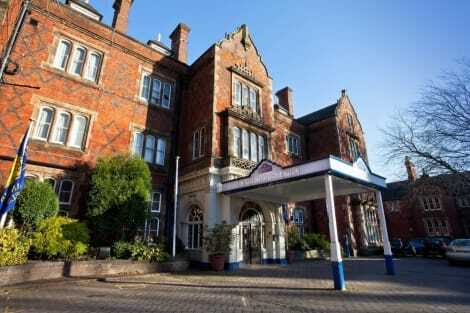 This hotel is 5.6 mi (9 km) from Keele University and 7.6 mi (12.2 km) from Trentham Gardens. Stay in one of 135 guestrooms featuring plasma televisions. Complimentary wireless Internet access keeps you connected, and digital programming is available for your entertainment. Private bathrooms with shower/tub combinations feature complimentary toiletries and hair dryers. Conveniences include desks and coffee/tea makers, and housekeeping is provided daily. Enjoy a meal at the restaurant or snacks in the coffee shop/café. The hotel also offers 24-hour room service. Quench your thirst with your favorite drink at the bar/lounge. Full breakfasts are available daily from 7 AM to 10:30 AM for a fee. Stoke-On-Trent is an English City with a rich industrial heritage making it a very interesting and unique place to visit. This rich heritage can be explored easily in the towns many museums and visitor centres. 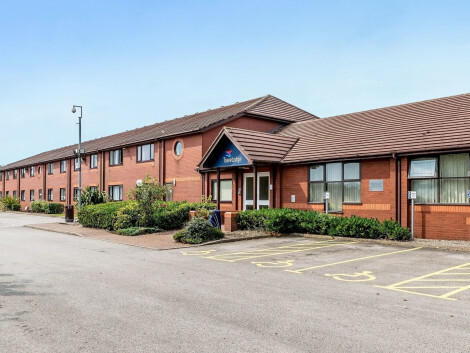 Whether you are planning to stay for one night or one week, Stoke-On-Trent hotels have you covered with a wide variety of accommodation offered at prices to suit everyone. Stoke-On-Trent is often affectionately known as The Potteries as it's been manufacturing pottery since the 17th century. The most famous pottery firm is Wedgwood whose distinctive white and blue pottery is known the world over. The best way to explore and learn about the company's history is to visit the Wedgwood visitors centre. The centre has its own museum, offers tours of the factory and even lets visitors try making some pottery themselves. Don't forget to visit the shop and take home your very own piece of Wedgwood pottery. You can explore the history of Stoke-On-Trent even further at the Potteries Museum and Art Gallery. The Museum has information about the pottery industry in Stoke-On-Trent as well as much more. You won't want to miss the Spitfire fighter plane which is showcased to highlight that Stoke-On-Trent is the home of its designer. There's also the chance to see the Staffordshire Hoard Display which shows highlights of the largest ever find of Anglo-Saxon treasure worth over £3 million. Alton Towers is one of Britain's top theme parks and is ideally located just 16 miles away from Stoke-On-Trent. The park offers something for all the family with world class roller coasters for teens and adults and themed rides such as Postman Pat's Parcel Post for younger family members. A traditional local food you should definitely try is the Staffordshire oatcake. They're not like the more well-known Scottish Oatcakes you might be familiar with, they are more similar to pancakes. There are many places to pick up some Oatcakes to try and they make a great takeaway snack. Stoke-On-Trent has lots of beautiful country estates and gardens to visit. A particularly special garden to visit is the Biddulph Grange Garden. The Victorian garden is run by the National Trust and has a unique collection of plants specially collected from around the world by the gardens creator James Bateman.